This unique, ground-breaking series of 'dark entertainment', was originally conceived by Simon Drake. The collaboration of Simon with magic consultants, Patrick Page and Jim Steinmeyer, along with Ricky Jay and many more, helped to create some of the most visually stunning and shocking illusions ever to be seen in the history of television. The Secret Cabaret is situated in a secret Central London location where Simon Drake performs his dastardly deeds in magic and conjuring to an unsuspecting, thrilled audience. Each event is a full evening adult extravaganza (18+ only). Tickets range from £30 to £75. Everything is included with an option of pre-ordered dinner apart from drinks from our reasonably priced fully stocked bar. Book early as all our shows sell out! 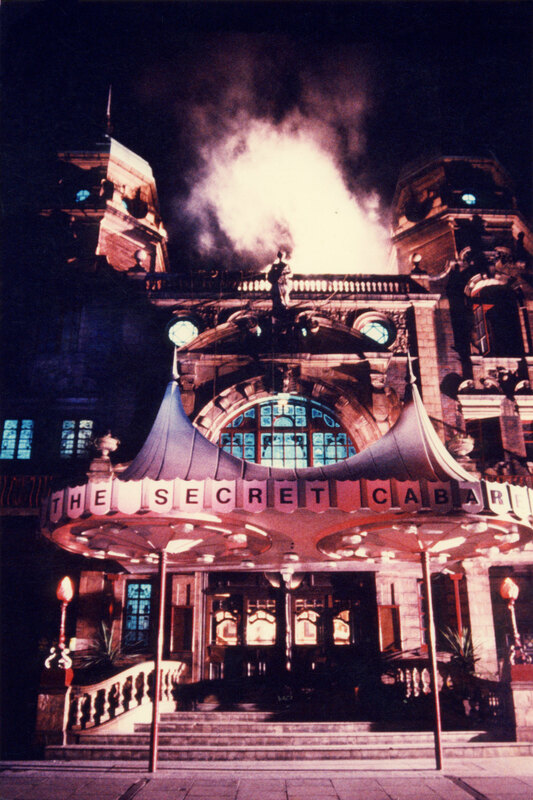 Consisting of a fast-paced mix of the bizarre and surreal along with traditional magic illusions, often performed with a gruesome twist, still unrivalled The Secret Cabaret was the first of its kind. Both of the highly acclaimed series appeared on Channel 4 and earned Simon Drake an international cult following. The shows proved to be way ahead of their time and many prominent magicians including the vastly knowledgeable Patrick Page cite it as the best TV magic ever made.